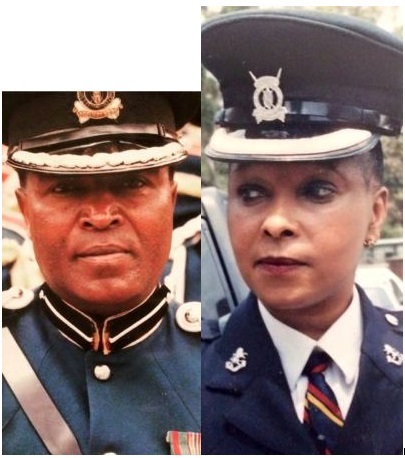 Did you know that former Am live host's parents were in police force? well now you know. During the recent concluded Mashujaa day celebrations, sheila decided to celebrated the Mashujaas in her life who are her parents. As it turns out, both her parents were in the police force and served the country honorably. She also pointed out that her parents are the ones who introduced her to music and contributed greatly to who she is today. Here is what she posted. I love Kenya, and being Mashujaa Day, today I celebrate my heritage. I appreciate where I have come from. My shujaas today are my Mum and Dad. Both of them committed Police Officers dedicated to Utumishi Kwa Wote. Though they didn’t have much they did their best for my brother and I. They served in the Kenya Police Band and will always remain the most gifted musicians I will ever know. Thank you Mama and Dad for teaching me to love Music, and to believe that God uses even music to create and build legacies!